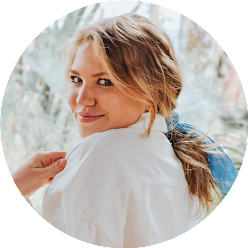 It's no secret that the practice of self-care is trending right now, and it's something that I am genuinely trying to get behind. While I'd love to be that girl who does face masks consistently, meditates religiously, and soaks in a bubble bath every other night, let's face it, I'm not quite on that level! That said, there are so many ways we can show ourselves love, and what that looks like is different for everyone. Taking care of ourselves and treating our bodies (and minds! and souls!) with love and respect doesn't have to require anything more than a few minutes of our time. This is a concept I support and really have been trying to work on lately for general well-being. Lucky for us, there are a million-and-one ways to practice it! We've all heard that saying, "the first step to success is admitting you have a problem." In my world, that little phrase is usually thrown around on Saturday mornings after a wild night, as a joke in a group chat with friends. Anyone else? ;) Self care is a little something like that, though; the first step to success is admitting you deserve self-care. It's so easy to get caught up in school, stress, and life itself that we can fall behind on sanity, sleep, and general health. Especially in college, as I touched on in this post last week, it's easy to put "taking care of myself" low on our to-do list. So... here are 20 ways you can practice self-care easily, while still reaping the benefits! 4. Write down some things you're grateful for. 5. Make a cup of tea. 6. Wake up 5-10 minutes early, make breakfast, and enjoy it. 13. Call your mom or best friend! 16. Just watch some Netflix! 17. Bubble baths solve everything. How do you practice self care? Love all of these ways - like you said, I love working out when I'm stressed or need a little break. I love these tips, Frannie! 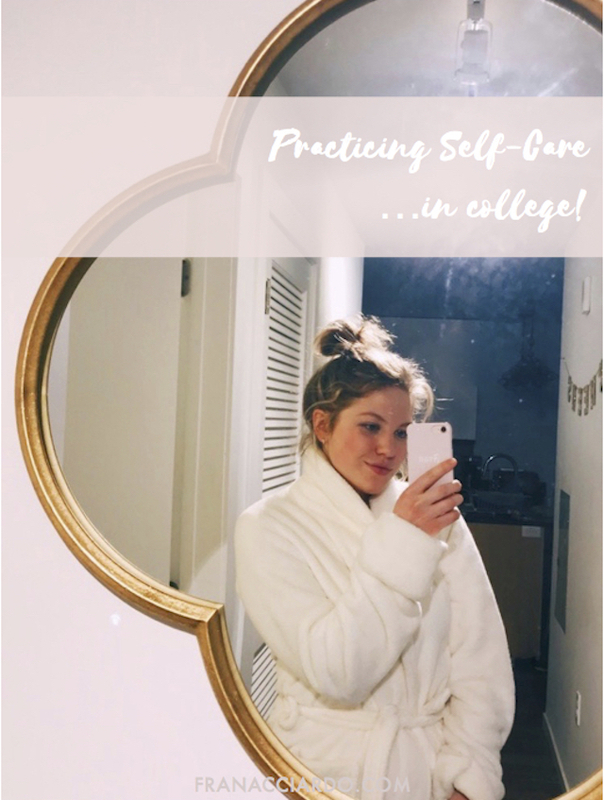 It can be hard to have a lot of time to practice self-care in college but these are great- I always love catching up with a friend over coffee!